Given its scarcely urbanized past, Kuwait has not produced what could be called classic literature, but, thanks to its high education level, Kuwait has produced several important contemporary writers. Ismail Fahd Ismail (born 1940) was one of the first to establish a reputation in the Arab world and is the most prolific writer in the history of the country, with over twenty novels and numerous short-story collections. Among the most notable Kuwait authors is Taleb al-Refai (b. 1958), journalist, writer, and a NCCAL employee. He produces the monthly arts magazine Jaridat al-Funun. His novels include Zill al-Shams (Shadow of the Sun, 1998), which was considered controversial. Raihat al-Bahr (The Scent of the Sea, 2002) nevertheless won the Kuwait National Award for Arts and Literature. 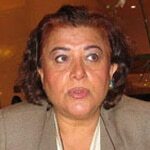 Fatma Yousif al-Ali (b. 1953), after graduating in Arabic literature from Cairo University, became Kuwait’s first woman novelist. She is a prominent member of the Kuwaiti Literary Association. Laila al-Othman (b. 1945) is a short-story author. Kuwaiti novelists and poets sometimes get into the news not for their literary merits but for running afoul of limitations on freedom of expression. 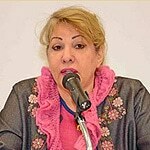 In 2000, Human Rights Watch mentioned that a Kuwaiti court had sentenced Laila al-Othman and Kuwait University philosophy professor/poetess Aliya Shuayb to two months in prison for writings the court considered blasphemous and indecent, although both claimed they had consulted various Islamic legal academics confirming the opposite.